A photograph of Amelia Earhart and George P. Putnum taken in Rye, New York. Putnam helped coordinate Earhart's 1928 trans-Atlantic flight and acted as her promoter following the flight. 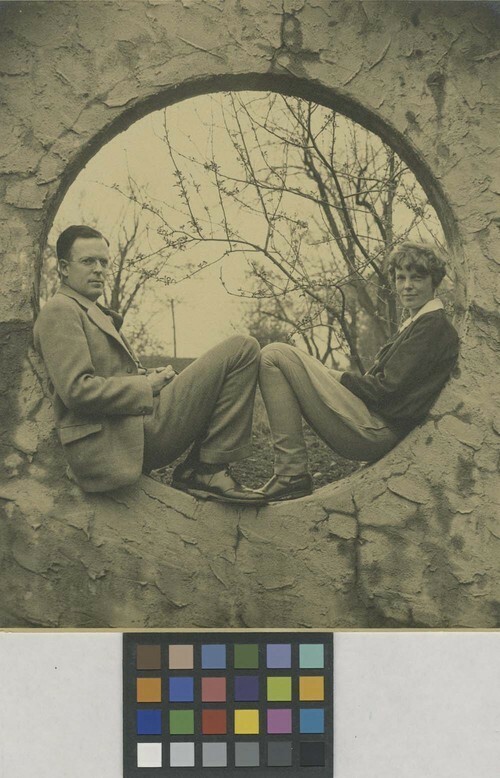 Earhart and Putnam married in 1931. Earhart disappeared in 1937 during her attempt to fly around the world.